We have been meeting so many super inspiring people these last few weeks. People who are passionate about sustainability and good food. We believe that it is so important to support their hard work and drive demand for sustainable food production systems. Here's Kristin with Patrick Frankel who grows local and seasonal and organic vegetables with his crew on Kilbrack Farm in Mallow! Kristin and Paddy Frankel at his organic farm in Mallow. Richard from Richards Little Farm grows delicious organic produce on his family garden lawn and plot! 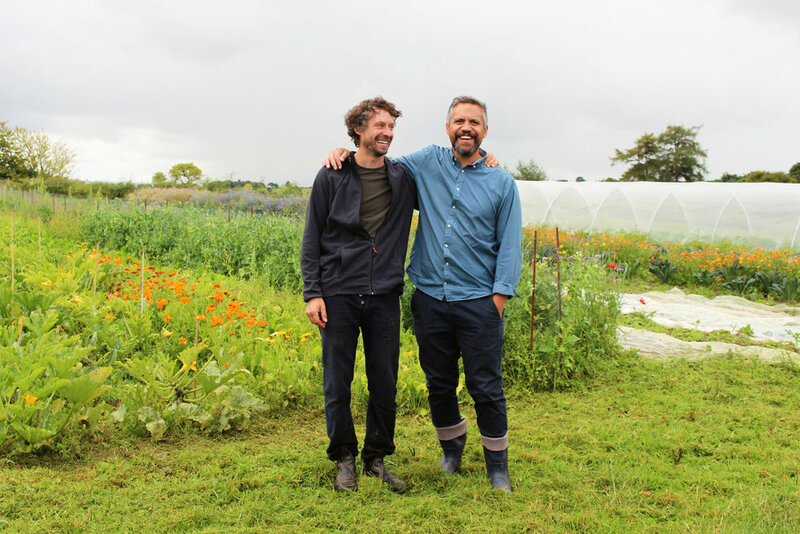 He's charging the way for young farmers in Ireland producing sustainable food. Best tomatoes in town!